Nigel Bailey is the lead singer of the bands Bailey and Three Lions, both of which released debut albums through Frontiers Records during 2014. In Three Lions, Nigel teams up with former Dare / Ten members Vinny Burns and Greg Morgan. 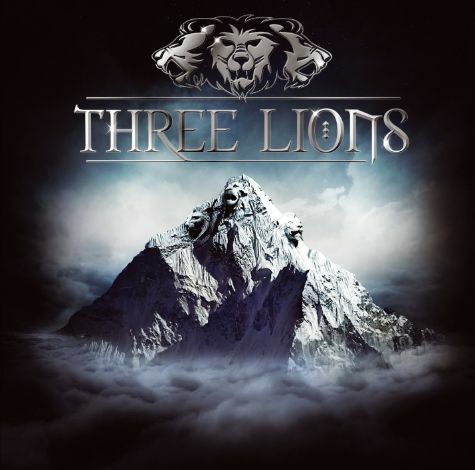 They released the album “Three Lions” in April ( http://www.rockradioni.co.uk/back-stage/music-reviews/1521-ni-rocks-recommends-qthree-lionsq-by-three-lions.html ). The Bailey project is something that Nigel has been working on for a few years. The band’s debut album “Long Way Down” was released in December. 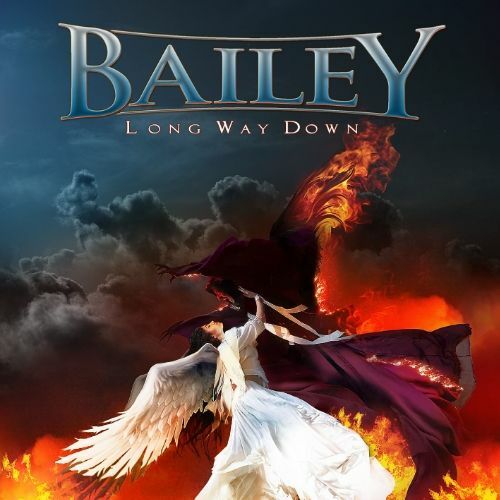 ( http://www.rockradioni.co.uk/back-stage/music-reviews/1753-ni-rocks-recommends-qlong-way-downq-by-bailey.html ). NI ROCKS – Nigel, thanks for taking some time to talk to Rock Radio NI. In the past year you’ve released two albums through Frontiers Records. I wanted to talk about these albums and future plans that you have. From what I’ve read the stories behind the two albums are fairly intertwined but we’ll start off with the latest release, the album by your own band Bailey called “Long Way Down”. How long had you been working on this album before its release in December? NIGEL – The album was actually written and recorded before the Three Lions album. This was done and finished, in the can by the end of July 2012. So it has been waiting for a little while to come out with one thing or another. It has just been a fantastic journey that Frontiers have set me on. I’m very very grateful and always will be. It stemmed from from a couple of songs that I’d written and put up on YouTube. Some DJs got in touch – Steve Price from ARFM, Paul Nicholls who is now with Platinum and a couple of American guys. I was encouraged to send them to Serafino and within 20 minutes we were discussing how we could make an album. It has been mind-blowing for me, just fantastic. It has been a brilliant couple of years. NI ROCKS – How long ago did you start writing tracks for that album? NIGEL – I started writing in mid to late 2011. I bought a new pedal for my guitar. I’ve played in cover bands for years. And the guitar pedal came with a free copy of some recording software and that inspired me to start writing things again. Something I’d not done for a long time – 20 to 25 years since I was a kid playing in bands. It just went from there. 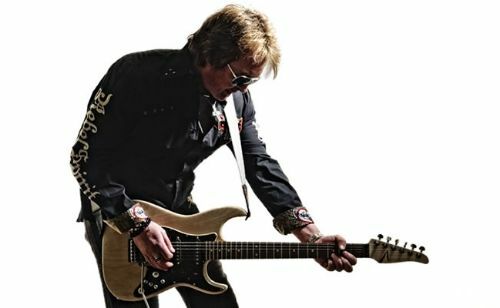 NI ROCKS – You’ve mentioned already that the President of Frontiers Records, Serafino Perugino, seems to have had a central role in bringing things together? NIGEL – Yeah, I sent him a couple of the tracks and within about 20 minutes he came back with an e-mail asking if I’d like to make a record and that he’d put me in touch with his producer. Alessandro Del Vecchio then got in touch with me and we went from there; discussing where I’d been, what equipment I had and what studio I’d recorded in. But they were all recorded in my conservatory or dining room. There were no fancy studios. NI ROCKS – He seems to have a very hands-on approach to running the label. NIGEL – Yeah definitely. First and foremost he is a music fan and loves the genre. That drives him to continue doing what he is doing. NI ROCKS – You’ve already partly answered the next question. Where was the album recorded and who did you work with in the recording studio? NIGEL – Some of the album was recorded in the UK. I did the bass in the UK and then Alessandro Mori did the drums in Italy, and Mario Percudani played lead guitar. Alessandro Del Vecchio put a few bits of keyboard on and then I flew out to his small studio north of Milan and we put the vocals on down there. Four days later it was all done and dusted. NI ROCKS – The first single from the album was “In The Name of the King”. Can you tell us a little bit about that track? NIGEL – It’s one of the heavier songs on the album and it started out as a riff. I’d tuned down to D and came up with this riff and wrote a song around it. It is based on an old Scandinavian folk tale about a boy who’s kingdom has been lost over the years and he has to go and fight and get everything back. And eventually he wins the day. NI ROCKS – The band Bailey played their first gig around the same time as the album release. Who were the other members of the band? NIGEL – We’ve done a couple of gigs now and we’re looking for more. We’re playing with Vega on 4th April in Nottingham’s Rescue Rooms and then the week after that we’re playing in Italy again at the Frontiers Rock Festival which I’m delighted to be asked again to. I’ve got together with some of the guys who I’ve been working together with for the last 20 years, playing in bands around the north of England. My brother is playing keyboard and singing; some people will know him from playing with Three Lions on the live dates. The drummer is a guy I’ve know for donkeys years, one of my best friends and a fabulous drummer and that is Stephen Clarkson. On bass guitar is a guy called Paul Ellis who again used to play in a covers band with myself and Steve, called Loaded; and then a guy called Aidy Boyd who I believe is one of your countrymen and he’s been around and on the circuit for years. We’ve known each other for a long time. It’s all coming together quite nicely. NI ROCKS – The other release last year of course was the debut album from Three Lions released in April. How did you get together with former Dare / Ten members Vinny Burns and Greg Morgan? NIGEL – That was after the Bailey album was recorded. I was introduced to Vinny by Serafino and Alessandro with the intention of writing some tracks together. I was driving home from the day job in London when the phone went in the car and it was Vinny, which was weird! “What, Vinny Burns from Dare?”…“Yeah that Vinny”! So we had a chat for a little while and I told him I was driving home near Northampton. And he says ah I don’t live far from there, I’ll text you my postcode, come have a pot of tea and we’ll have a chat. So I had to ring my wife and tell her I was going to be late because I was going for tea with Vinny Burns…Yes, that Vinny Burns! And we got on like a house on fire. We started writing some songs and bouncing some ideas back and forwards. We decided it really had to be a band, and obviously because of his connections with Vinny and because he’s a phenomenal musician, we got Greg involved. It just went from there and the momentum of it just took over. It’s been phenomenal and a pleasure and privilege to work with two such names of the industry. NI ROCKS – How would you compare the tracks you wrote and recorded as Three Lions and those on the Bailey album? NIGEL – I think there is obvious similarities because I was part of the writing process for both, but I think the Three Lions is slightly different because it has different influences from different people. There are certain bits of Vinny that you can hear in there, certain bits of me and certain bits of Greg. Whereas the Bailey album is sort of all mine so it’s slightly different but still familiar. I think its probably a little heavier. I’ve a bit of a darker side that gets to come out and play. NI ROCKS – You’ve already mentioned a few gigs coming up for Bailey. What are the immediate plans for both Bailey and Three Lions in terms of gigs and recording? NIGEL – The Three Lions are starting to work on some new songs and hopefully should be working on a “Three Lions II” shortly. We’ve a few ideas and I’m down with Vinny having a writing session next week. I’ve got something else going on that I’ve been asked to do. I’ve written a few songs for some other people as well. That’s all bubbling away nicely. The more live shows we can get the better, but it’s difficult. Neither band have enough material to go out and do a headline tour, so we’re reliant on being asked or trying to get support slots for people and festivals. It’s difficult but we’re working on it. We might try and do something off our own bat, but we’ve no management in place at the moment so it’s a bit of a hard slog. But we’ll get there. We’ll be out doing some gigs very shortly. We have a couple of Bailey ones coming up. We’ll probably try to put something out later in the year. NI ROCKS – The first track taken from the Three Lions album was “Trouble in a Red Dress”. Can you tell us a little about that track? NIGEL – It’s just an idea based on the old films and documentaries that I watched when you hear about these, I don’t like the term, groupies that turn up. It is just a straight-forward, weird, dark love song I guess about a stalker who falls in love with the band and thinks there is more to the relationship than what there is. Hence she is known as Trouble in a Red Dress. NI ROCKS – You started off playing in bands at quite a young age. Who were your inspirations back then? NIGEL – Too many to count really. One of my biggest inspirations was my mother and father. They bothe played in bands. My mum was a singer and my dad was a guitarist. They played on the club scene for years and my mum I think actually had a number one hit in Holland in the Sixties with her band the Three Good Reasons. So there was always music in the house. Allegedly I was dancing round the room with a tennis racket to “Bohemian Rhapsody”. The thing that turned me to the dark side was either “Kill The King” (“Long Live Rock n Roll”) by Rainbow or it was “Killers” but I can’t remember which. I like some country music, I like most forms of rock but I’m not a big fan of the growly stuff if I’m being honest – I’m probably a little bit too old. All the usual suspects – Deep Purple, Black Sabbath, Whitesnake, a little bit of Poison every now and again, Motley Crue, Bon Jovi you name it! We’ve been blessed over the past couple of years with a plethora of English melodic rock bands coming through. Bands like Angels or Kings, In Faith, Lawless and Issa, who is an adopted English woman now. Bands like Vega, Tainted Nation and Edens Curse. There are plenty of bands coming through and doing a great job. We’ve all got our own little inspirations, but I don’t know how much it dictates what you write or don’t write. I write songs that I like and that is pretty much our only criteria with Bailey or Three Lions. If all the people that are together at the time enjoy and like it, then that is good enough. We don’t write into pigeon holes. NI ROCKS – I read that you sang in a rock covers band. One of the questions that I always like to ask singers is, given the opportunity what band past or present they would have most liked to have fronted? NIGEL – That’s a difficult one, a really difficult one. It’s not just based on music. I’m a huge Whitesnake fan, so Whitesnake or early Purple when Coverdale was there. I’d love to be able to fill his shoes, which would be a monumental task. And Thin Lizzy, there are 100’s of bands that would be great to get up and sing with, but I don’t know that I’d want to take on the responsibility. You’re filling big shoes taking over from anyone like Mr Coverdale or Mr Gillan. NI ROCKS - You’ve answered half of this question earlier but I’ll ask it again. Can you remember the first gig that you went to and first album that you bought? NIGEL – I can’t remember the first album, I’m still trying (“Killers” or “Long Live Rock n Roll”). The first rock gig I went to was, I think 1983 and it was Dio. I think I went to a gig before that, but not sure that counts because it wasn’t a rock gig, it was a punk gig that my uncle took me to. It was in Bradford, St Georges Hall which used to have bands on, but they don’t really as much anymore now. NI ROCKS – Again, you’ve partly answered this question too. What bands or artists do you listen to now? I always like to ask people what five artists I might hear if we pressed shuffle on your iPod or whatever. NIGEL – There is 100’s and 100’s or thousands of songs on it. At the moment particular favourites are Angels or Kings, that album is constantly on shuffle and play. The new Lawless album is great. I’ve been listening to “Stereo Messiah” by Vega , “Crossfire” by Issa and the classic stuff. There is always Whitesnake on there and Poison. And there is always some Country on there. Guys like Kenny Chesney, Brad Paisley and Garth Brooks which some people might see as a strange mix, but my parents were both into Country and it rubbed off. There are some crackin songs once you get through some of the pop country and some of the old stuff which I’m not a big fan of. The last one I was playing on the way home was Keith Urban. NI ROCKS – Finally, we’re not far into 2015. What more would you hope to have achieved with both Bailey and Three Lions by the end of the year? NIGEL – We’d love to do some more live shows as Three Lions. That’s really what it is all about. Its great doing the album and hopefully we have another album, but you can’t beat standing on a stage singing your music and if people like it that is absolutely fantastic. That is what we do it for. We’ll get out and do some more dates and meet some more great people. Everyone we’ve met so far has been absolutely fantastic. It’s been a crackin journey and I’m loving every minute of it. Long may it continue. NI ROCKS – Thanks for taking some time to talk to Rock Radio NI.